Studying pictures at the Museum of Fine Arts photography exhibit. Like yesterday's picture..Art makes us think and wondering.I like this shot! Ha, that sums it up good I think. This has a classic feel to it. 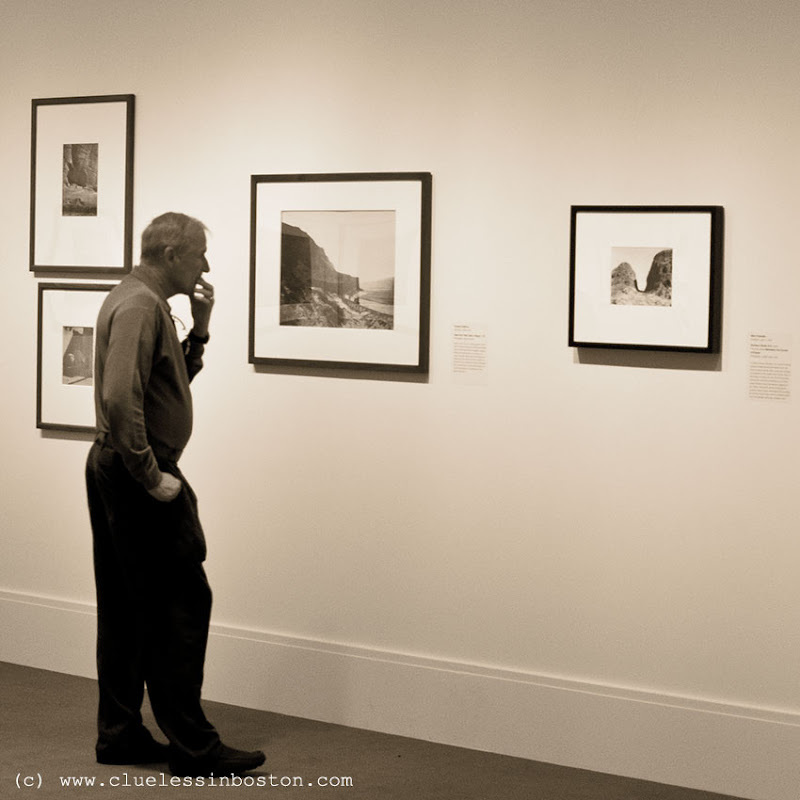 Whether to allow photographs in museums is a mixed question. Your photo today shows one of the benefits. People snapping pictures crowding around the Mona Lisa in the Louvre shows the other side of the question. Seems like an enjoyable, arsty way to spend an afternoon! I really like your Wednesday Doorway posting, too! Well at least these images (the large one reminds me of the Columbia) make sense! This is a great image, Clueless. The man is completely absorbed in studying the photograph. Very nice. Similar thoughtful poses in the last two posts. I like it.